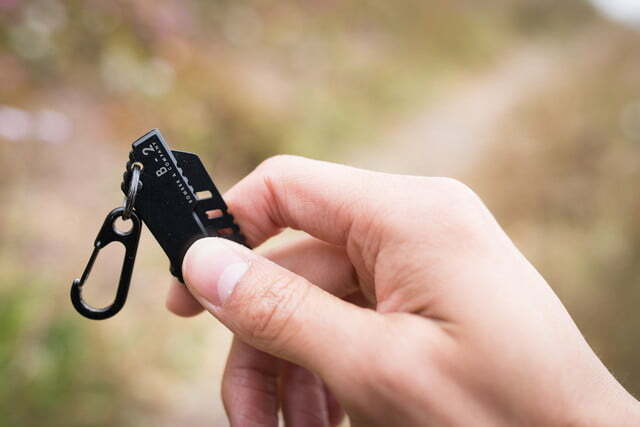 An outdoor gear manufacturer Bomber and Company is scoring big on Kickstarter with a tiny pocket knife. 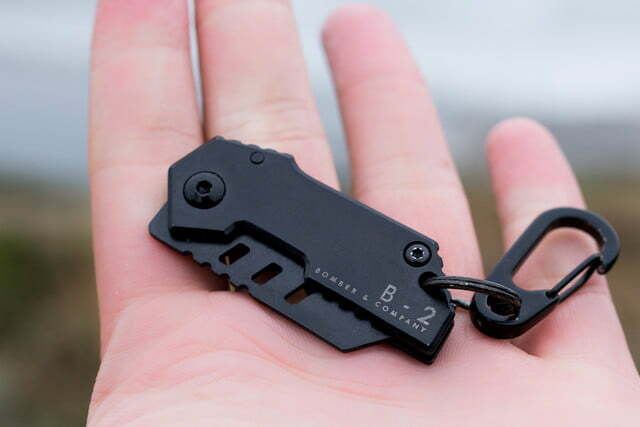 Its B-2 Nano Blade promises to be the smallest tactical knife ever made, making it a tempting option for everyday carry. That seems to be striking a chord with supporters on the crowdfunding platform, as they have funded the project to the tune of $100,000 in less than 24 hours. 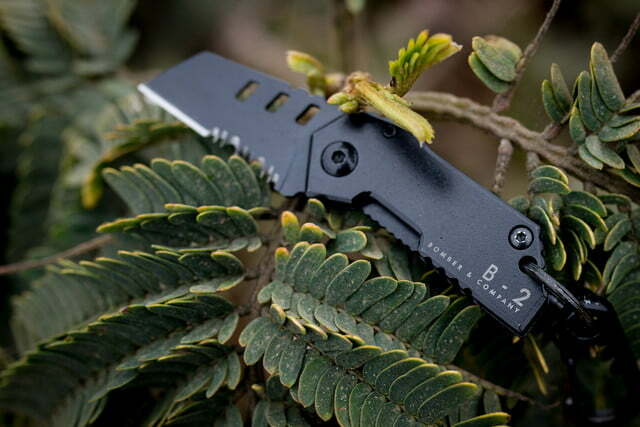 Inspired by the B-2 bomber, the Nano Blade is made from heat-treated 440C black stainless steel, which not only gives it a military look, but should provide a high level of durability too. 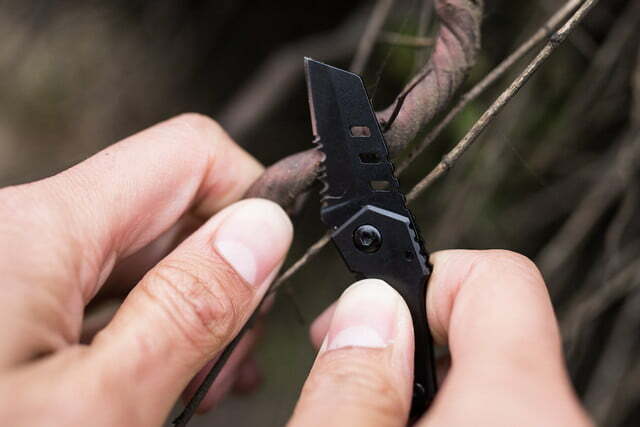 Those same materials are also lightweight however, allowing the knife to maintain a high level of performance with a svelte design. 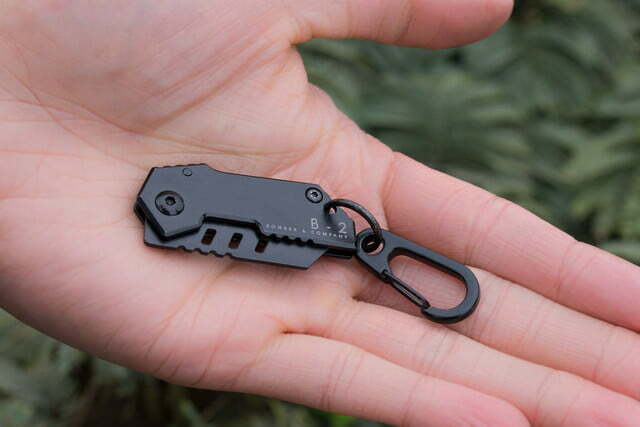 The folding and locking knife is 1.8 inches in length when closed and 3.1 inches in length with the blade deployed. 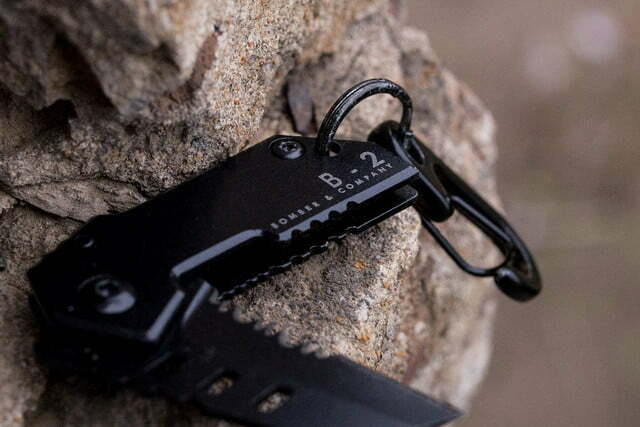 It also weighs less than an ounce and comes with a lifetime guarantee. 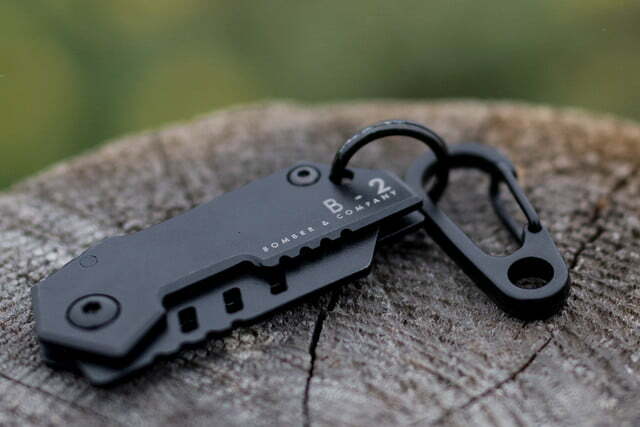 Bomber and Company used a split-blade design when creating the Nano that allows it to provide a surprising amount of utility in a small package. 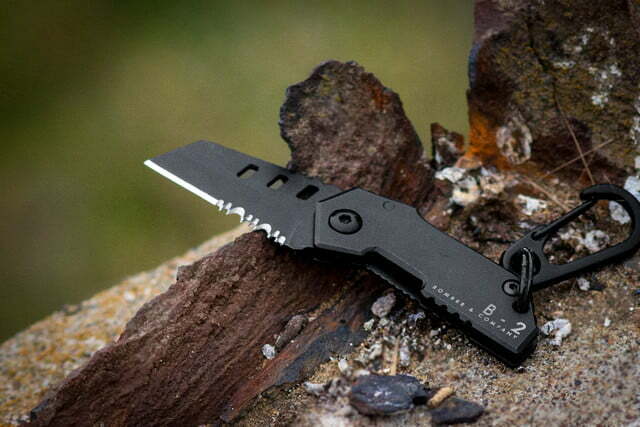 The front half of the blade is a standard knife edge designed to cut as needed, while the second half features serrated teeth that are meant for use on tougher materials such as wood or thick rope. 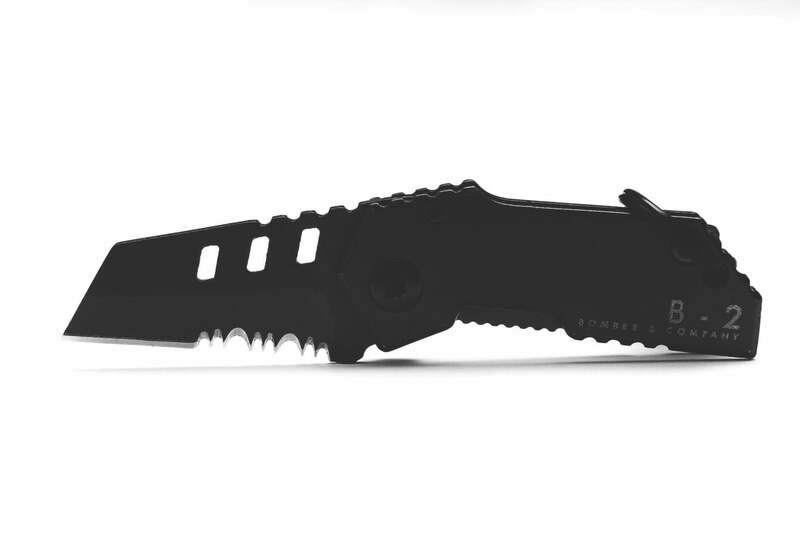 The entire blade has also been perforated for ease of cleaning and to prevent materials from sticking to it when in use. 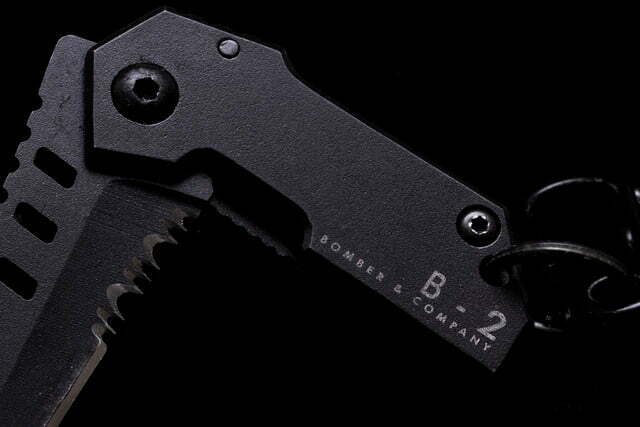 When Bomber and Company introduced the Nano Blade on Kickstarter, the hope was to raise $5,000 to help get the knife into production. But, the B-2 has been met with overwhelming support, smashing through that modest goal in the first day. As of this writing, the crowdfunding campaign has raked in nearly $125,000 from more than 2,200 backers, which means it should ship on schedule in February. 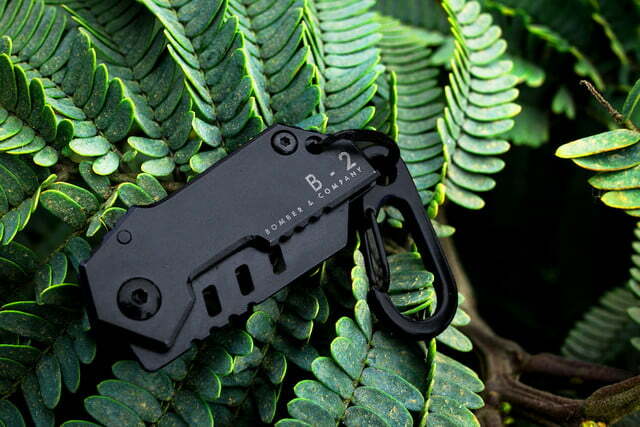 The final retail price has not been revealed yet but early backers can reserve one now for $25.